Who says, that traditional tastes can’t be combined with something fresh and new? And if we talk about ice cream, “fresh” means always “good”. 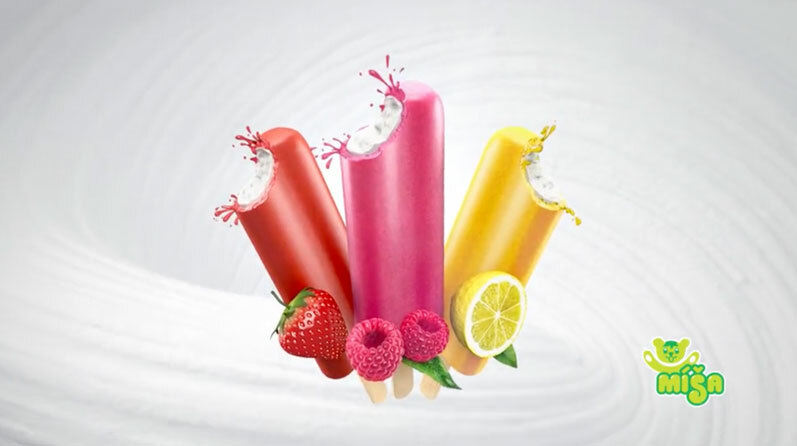 We are very pleased, that we could work on new flavours of Míša ice creams with fruit. We brought new package designs and design of communication campaign including 3D animation TV spots and KV (key visual), which appeared on posters in Metro and supermarkets. We have been participating on development of names. For some, it was like crafting a part of the national treasure.